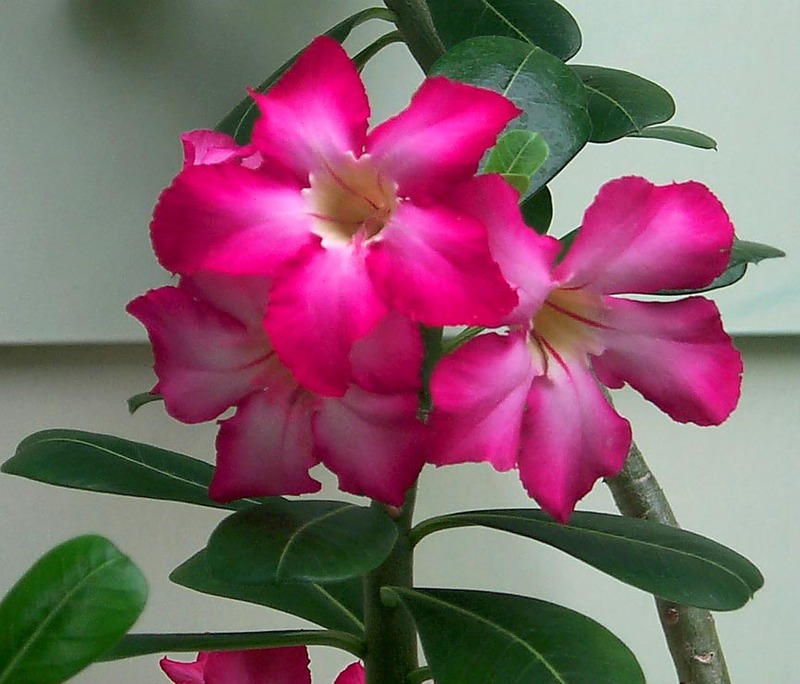 Both plants are about the same age, treated pretty much the same way, except the tall Adenium gets pruned every year. 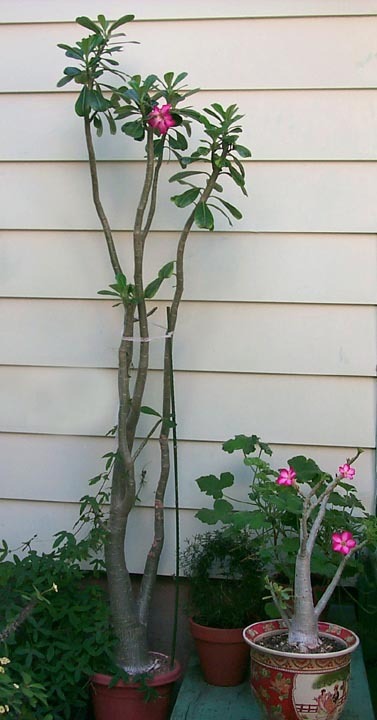 The small Adenium produced long seed pods several times during the summer outside (- having kept both plants in close proximity of each other). I have been told that these seeds produced both, short compact and tall plants.